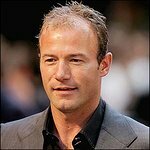 The Alan Shearer Foundation launched on the 31 May 2012, with the aim of supporting disability in the North East. For many disabled children and adults the facilities are there but not for them many supposedly inclusive environments provide access but fall short on participation or are just too expensive for the whole family to join in. Providing young disabled people with ordinary leisure experiences should not be a luxury, it should be a given. Google trends for "Alan Shearer Foundation"
We don't have any videos related to Alan Shearer Foundation.